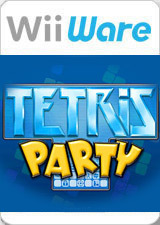 Tetris Party is a puzzle video game by Hudson Soft for WiiWare. An installment of the Tetris series, the game supports the use of Miis and the Wii Balance Board, and features both local and online multiplayer in addition to several single-player modes unique to the game. The graph below charts the compatibility with Tetris Party since Dolphin's 2.0 release, listing revisions only where a compatibility change occurred. This page was last edited on 16 January 2018, at 08:28.